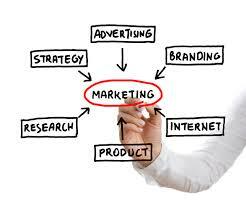 There is a whole lot of marketing technology in the market place. It would not be surprising to find that you are overwhelmed and over extended by it all. What are your marketing technology goals? Do you have strategies that support the goals? Are your people capable of implementing the strategy or are they overwhelmed by it all as well? It is time to be holistic and to stop chasing the holy grail of shiny new objects. So … what should we do? Start with clear business goals and then agree on the strategies to reach the goals. Audit and assess your existing technology. Create a road map and plan out your marketing technology strategy. Define the metrics for real results and implement your plan. Remain agile and make course corrections regularly. via Why You Need A Marketing Technology Strategy.